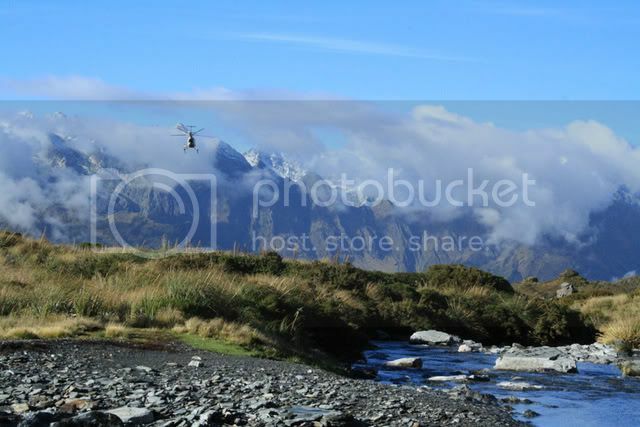 FishnHunt - New Zealands Famous Hunting and Fishing Forum Since 1995 - 12 magic points for Erin. 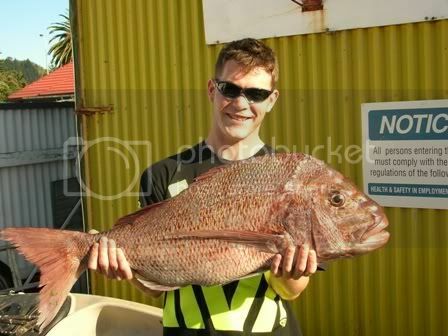 FishnHunt - New Zealands Famous Hunting and Fishing Forum Since 1995 › Hunting › Annual Roar Competitions › FishnHunt Roar Competition 2013 › 12 magic points for Erin. 12 magic points for Erin. 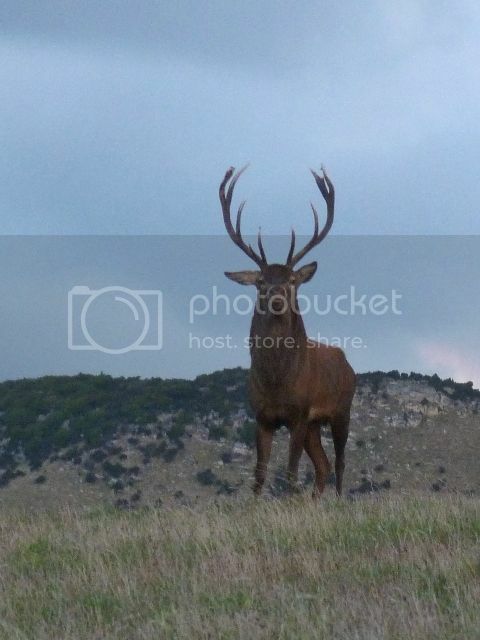 I shot my stag before the roar. He was exactly what I wanted, so other than my hunting with fellow forum member Treeehorse, I planned nothing except renovation work on the house. Easter Sunday rolled around and I got a phone call from my mate, Russell. He wanted to go hunting and he wanted to find a stag for his missus, Erin. Erin is a very keen and able hunter, but fairly new to the sport. I have been lucky enough to share the moments of all of her first animals; her first deer (a fallow yearling), first red deer, first pig...and I was there with Russ to pick her up when she stumbled out of the scrub after an evening solo hunting...the night she shot her first bit of antler, a fallow buck. Before this roar, she had not shot a red stag, and by god was she amping to give it a go, so I figured my weekend plans could quite easily change...I was getting bored of gardening! "Rightyo." so I left my lawn unsown and headed for the place of deer with Russ, Erin and another forum member Cow (why you call yourself Cow is beyond me by the way...you're a pig hunter for crying out loud!). 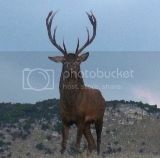 We found ourselves roaring at a scrubby face which held at least four stags, but nothing wanted to show itself until right on dark. A young eight point stag braved the open country for only a few moments...just long enough to see that he wasn't big enough for Erin. 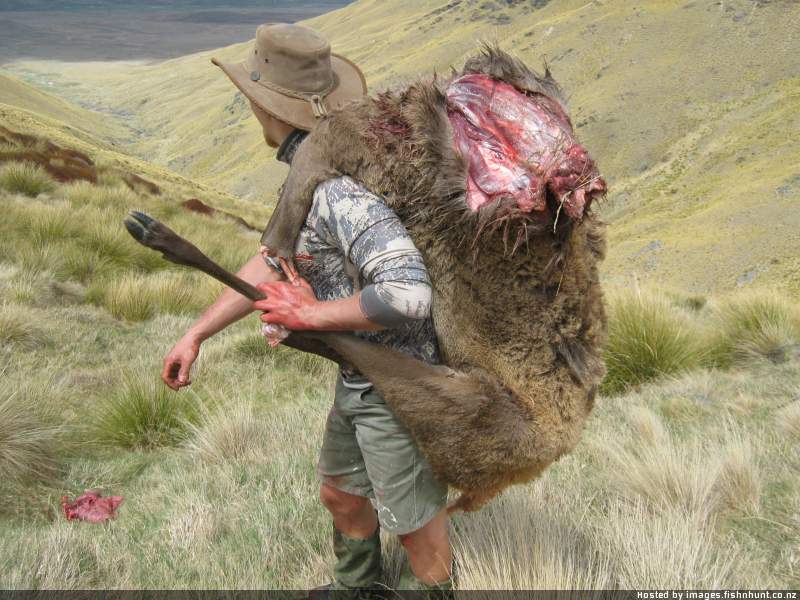 We left the deer to it, and went home empty handed...but keen as mustard to get back in there! We had to wait a whole week, but were back amongst the deer on the following Saturday afternoon. I agreed to take Erin into the thick stuff, and try to roar up a stag for her up close and personal, while Russ headed off in another direction to look at some clearings where we had seen deer before. We had no idea where Cow was though...but he wasn't out with us this time! Nearing the top of the hill, the deer sign started getting a bit thicker on the ground, so we pulled up for a few quiet moments before I let out a roar. "There!" said Erin. I knew she hadn't seen the deer, instead she was pointing in the direction of the ridge where a stag was roaring his nut off. We'd really started something by announcing our presence, and I could tell that Erin was chomping at the bit to head up there. Erin was holding her .243, and I was holding my 30.06. I had a memory flicker of a stag all roared up and full of adrenalin taking off with a bullet square in his shoulder, so I asked Erin if she would fancy using the cannon. She was straight into it; it is identical to her rifle...just a touch bigger so she was confident. Until this point we had left our rifles unloaded. I checked her rifle, left the chamber empty and put it on my back, then instructed her that I was happy for her to chamber a round, which she did, keeping it on half bolt and carrying it with her hand tucked under the bolt like a pro she lead the way quietly and carefully up the hill. When we reached the clearing on top of the hill where we'd seen the eight pointer on the previous weekend, we were greeted with the sight of a curious spiker. He had no idea what we were, so I reached for my camera. I took a little video then changed my camera to a photo setting and let out a wee roar. The spiker got all nervous then curiosity got the better of him and he came closer to the bush we were hiding behind...he got to less than 15 metres we reckon. 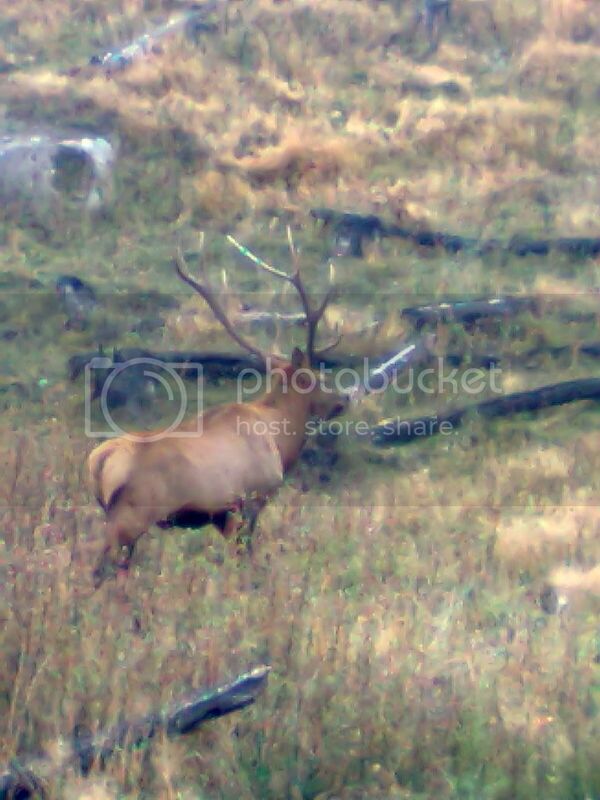 I hadn’t thought about it when I roared, and got a hell of a surprise when an angry solid stag appeared, obviously wondering who dared come into his territory and challenge him. “Shoot that!” I said to Erin as I trained my camera onto him. “What, the spiker?” Erin asked. “No! 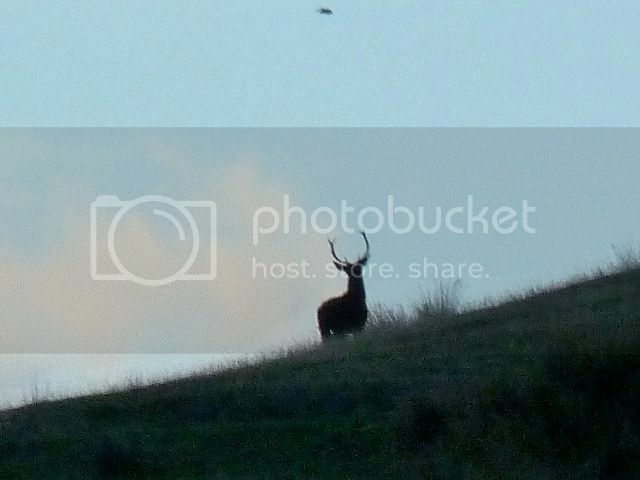 THE STAG,” I replied. The stag came closer and perfectly on cue he turned side on as Erin closed the bolt, took aim and let him have the full force of the 30.06. The next morning Russ and Erin headed off in search of Erin’s stag. I couldn’t make it early as I had hungry sheep to tend to, so they replaced me with their pup “Oggie”. After searching fruitlessly for several hours, the pup was let to lead the way, and after only a wee while it found some blood. Russ and Erin then let the pup lead them down onto a huge game trail...and that’s where the stag was found, dead as a doornail. The first I got to see of it was when they turned up on my door step. He was huge, bigger than I’d thought he would be...and 12 points. Here is Erin holding him on my deck (note the now sown lawn in the background )...she is scratched up, covered in blood...but well chuffed. Good girl! What a cool roar...another momentous adventure to relive over and over throughout our lives. Re: 12 magic points for Erin. ive lost enuf brain cells, they are now at a managable level. Nice read, and a great looking stag. A really "nice" story. Well done the lass, and Oggie. 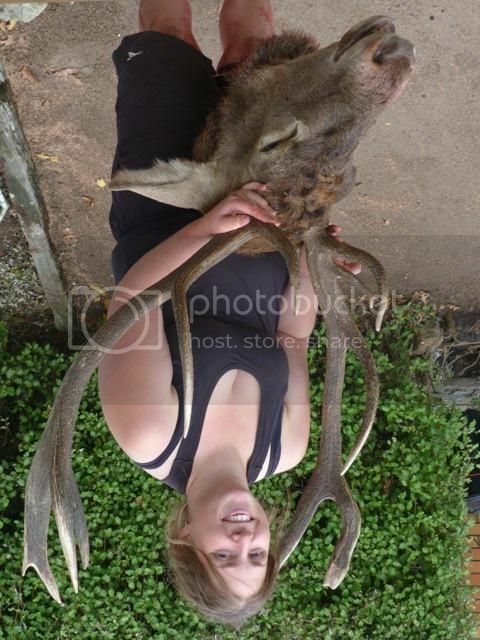 I hope Erin realises that's a bloody good head for her first Red stag. I like your pic too, of the skinny spiker. He's a classic. Best regards. The fraternity of shooters is rather like the fraternity of blind men -- each one walks alone.&&: Ian Niall. 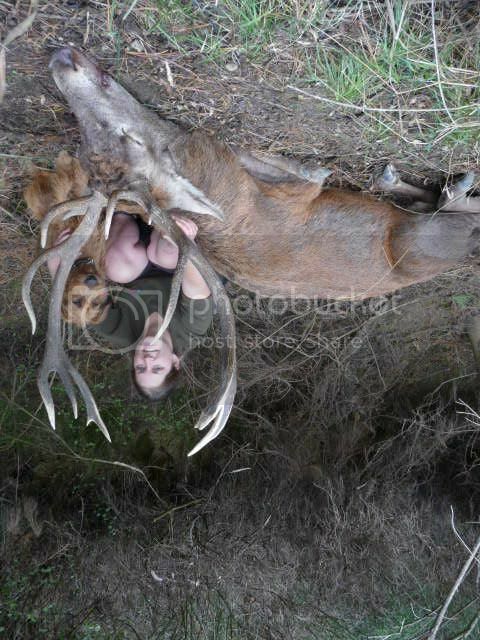 that stag looks angry alright, well done Erin and a great photo there roaring stag! Russ for his patience, eagle eyes and dog handling skills helping me search around in the scrub for HOURS. Well done Erin!! And well written story. 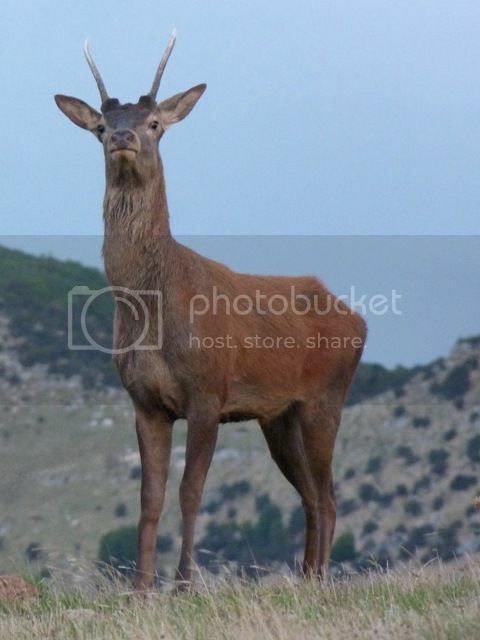 Nice stag Erin,dont forget to give the pup some veni,keep his noise keen. Great result! well done Erin and all. Great photos James. Good work Erin! Thats a great head. Agreed, he looks like he's posing for the camera, a truly magnificent animal, well done!! Cool looking dog as well, he looks chuffed. What breed is he? for some reason he kind of reminds me of mark sainsbury probably the moustache. We got him just as a pet to keep our other dog Muzz company. He has only been out once before and that time he pointed to a doe and fawn, so it looks like he has some good natural instincts . 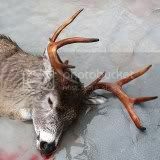 Good stuff Erin and Co. Thats a great result and a cracker stag, well done. The photo of him before the shot is great. +1, Awsome live photo, great story, well done! Great to see a woman and a pup doing well! Cool story and good on the helpers too. 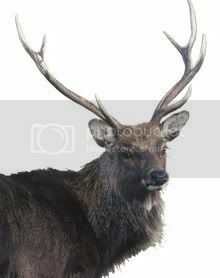 Nice Stag Erin. Well done and thanks for sharing.